It’s divided into 4 parts (to stretch over multiple days) with summaries written for my Spanish 2s (and above). 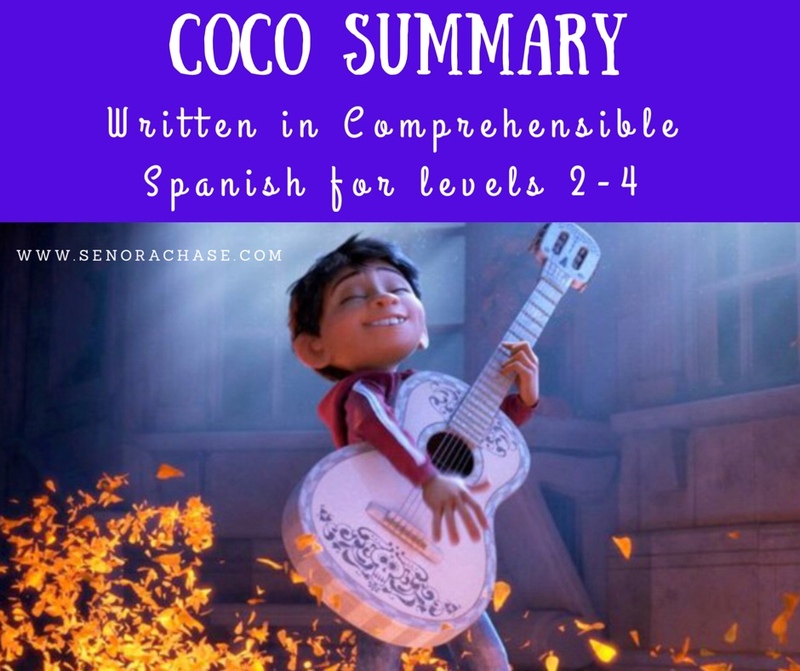 Throughout the summaries there are parentheses where the have to choose the correct answer: Había una familia de zapateros, hacía (tortillas / zapatos / guitarras). En la familia había un niño que se llamaba (Juan / José / Miguel). And on the back are numbered boxes for them to illustrate the reading. Read and translate with a partner, circling the correct answers in the parentheses. Re-read it again independently, dividing the reading into 10 sections by drawing a line and writing the number. On the back, illustrate each section to correspond with the sections they numbered on the back. Miraculously Grandma got better and went home (HUGE blessing #3!) and the school year wrapped up (Hallelujah! Blessing #4!) and I forgot to finish this blog post! Now I’m loving my summer vacation (I’m in Japan now, waiting for my hubby to wake up so we can explore the city of Kanazawa, Blessing #5!) and I’ve got a few minutes to finish up this post. Hopefully it’s something you can tuck away and break out when you need a low prep- high input sub plan. Second time in one day that you are saving me. I think I’m about to start binge-reading all your posts. Make yourself a pot of tea… you’ll need it!